Two months ago, when autumn was quickly fading into winter, I cast on a pair of mitts for the very first time (first successful time that is). 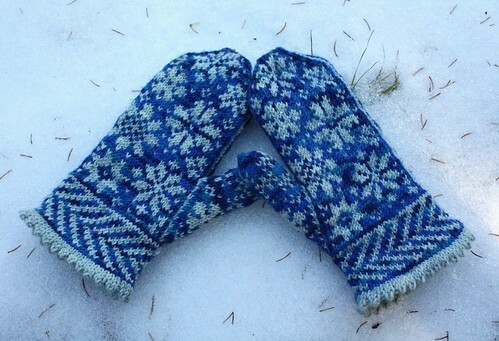 The combination of a long roadtrip, a work trip, and a few furious knit nights, made for some seriously speeding knitting, and after two weeks I had my very own pair of Tanis Fiber Arts Snowfling Mitts. 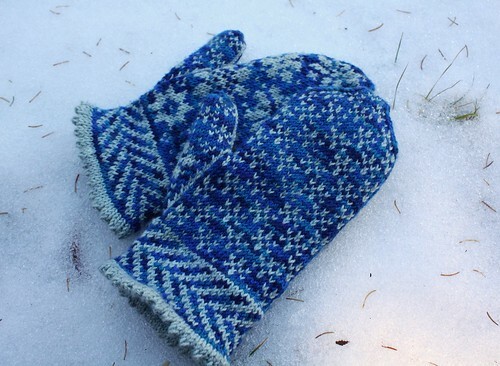 To be honest I have been dying to make mittens to a long time but flashbacks of the Christmas mitten fiasco of 2002 kept flashing in my head, and I didn't think I could stomach the idea of another pair of mitts being stashed away, thumbless and forever to be unloved. **For reference - Amanda was convinced she would teach me to knit more than a decade ago and I had a paralyzingly fear of knitting thumbs (a fear that I only now just concurred). This was my first real foray into colour work and I was surprised by how easy it. To be fair though my ability to pick it up quickly might have been helped tremendously by the pure fact that I cast these babies on after Thanksgiving supper with Amanda in close range. These beauties have a cashmere lining that add the perfect touch of added warmth and luxury. I can officially say I'm hooked and another kit is in the mail. 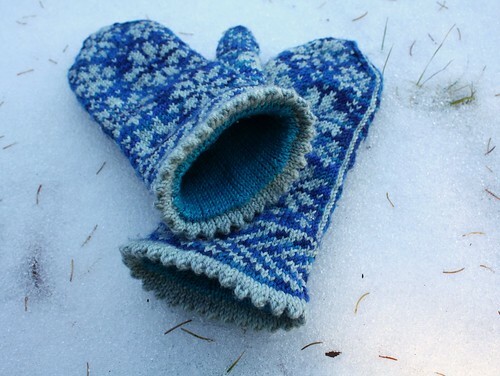 The more mitts the merrier! I love them, they are the same colours as mine, which I am having a lot of fun making. Kelsey, these are SO amazing! Really impressed with your mad knitting skills! These are amazing! So impressive!